AUSTIN, Texas, August, 28, 2018 — Rollick Outdoor, a platform connecting buyers of motorcycles, powersports, RV, and boats with participating dealers, is pleased to welcome Progressive as an Affinity Member of its Outdoor Vehicle Buying Program. 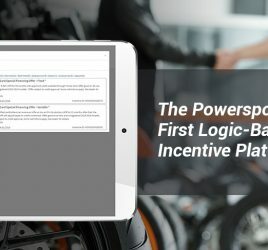 The program provides buyers access to a nationwide network of certified dealers where they can save time and money on their purchase of powersports vehicles and RVs. Buyers can access the program by either visiting GoRollick.com/Progressive or shopping directly on Rollick Certified Dealer websites. In the latter case, shoppers gain access to their benefits while searching a participating dealer’s online inventory. The program includes special offers on specific inventory plus other benefits such as discounts on accessories, apparel, parts and service. The Rollick Certified Dealer Network currently consists of dealers in 36 states, with plans for national coverage by the end of 2018. 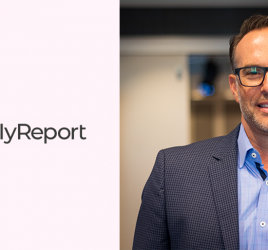 Each dealer agrees to participate in Rollick’s transparent buying experience, where program users receive a Savings Certificate that clearly details the price of the vehicle, including tax, title and all other fees. 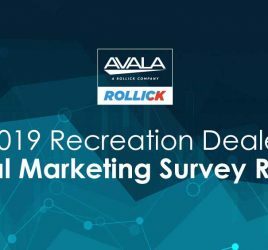 Additionally, Rollick will soon work with powersports, RV and boat manufacturers to offer special purchasing incentives to powersport and RV enthusiasts. 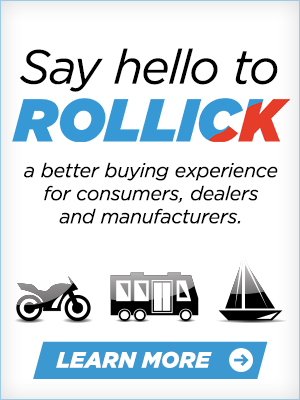 Rollick provides a marketing platform to connect consumers with dealers and OEMs in the powersports, RV and marine industries through transparent pricing and special savings. Retailers and Manufacturers use Rollick’s technology to provide a personalized experience for their customers by leveraging Rollick’s Affinity Network. To learn more, visit GoRollick.com/Company.